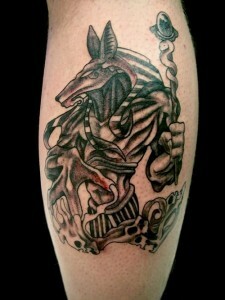 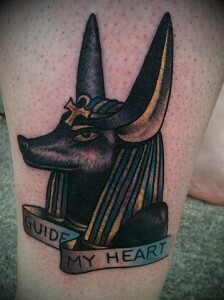 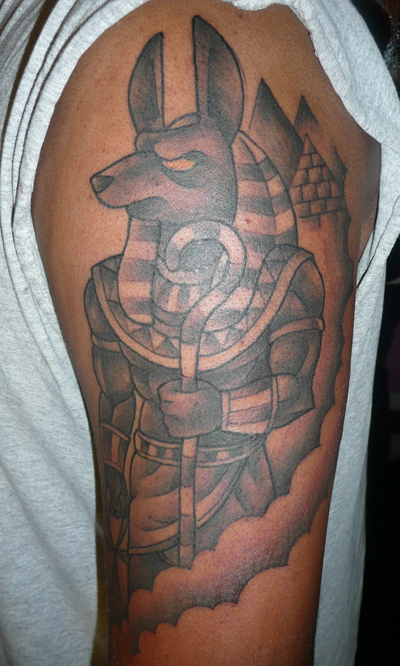 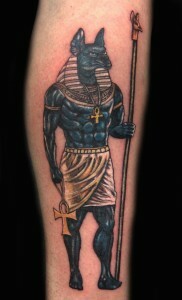 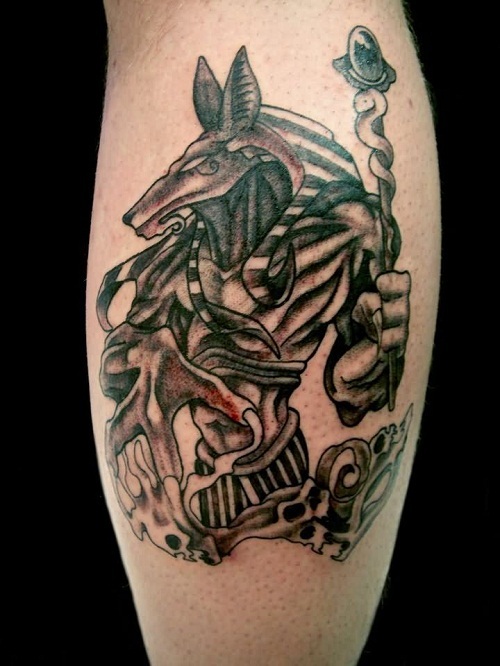 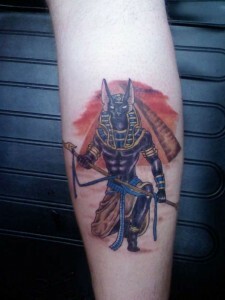 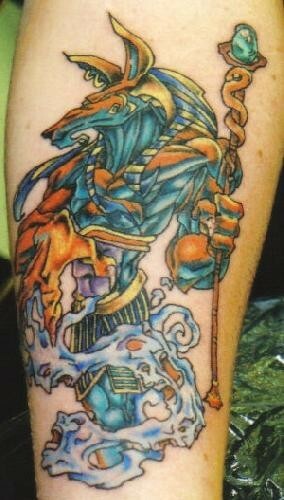 Anubis, an Egyptian god, is known to be the protector of the cemeteries, guiding the deceased spirits to the heaven. 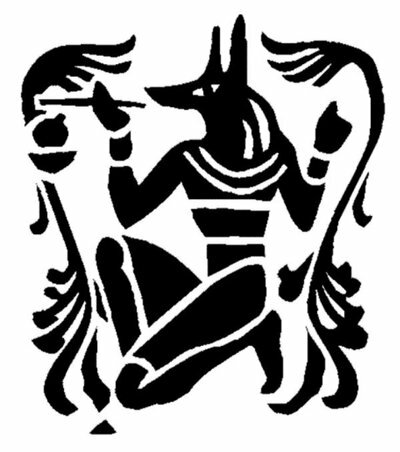 Although steeped in Egyptian culture, the name itself owe its origin to Greek mythology as the original Egyptians believed to name this as Anpu while the Greeks gave the name Anubis. 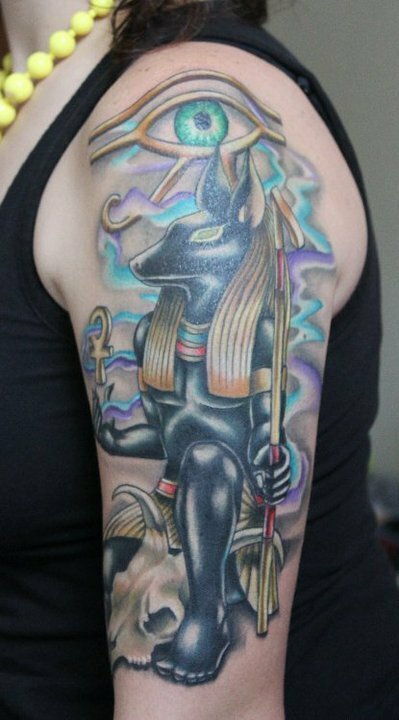 Also, combining this one with Hermes a Greek God, and the heir of Zeus, the concept of Hermanubis emerged. 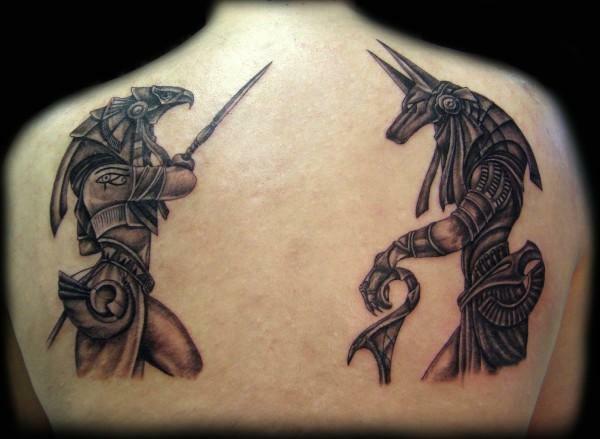 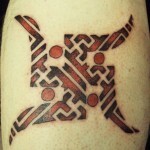 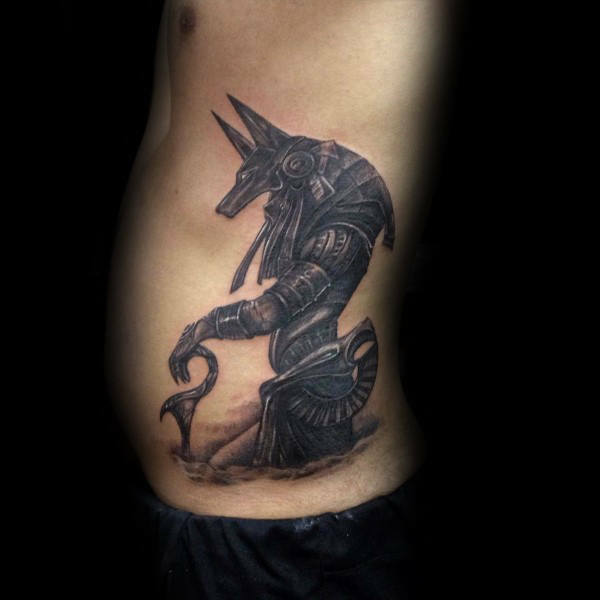 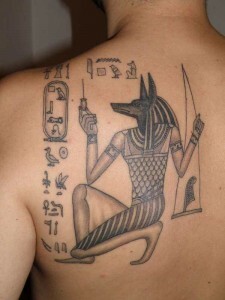 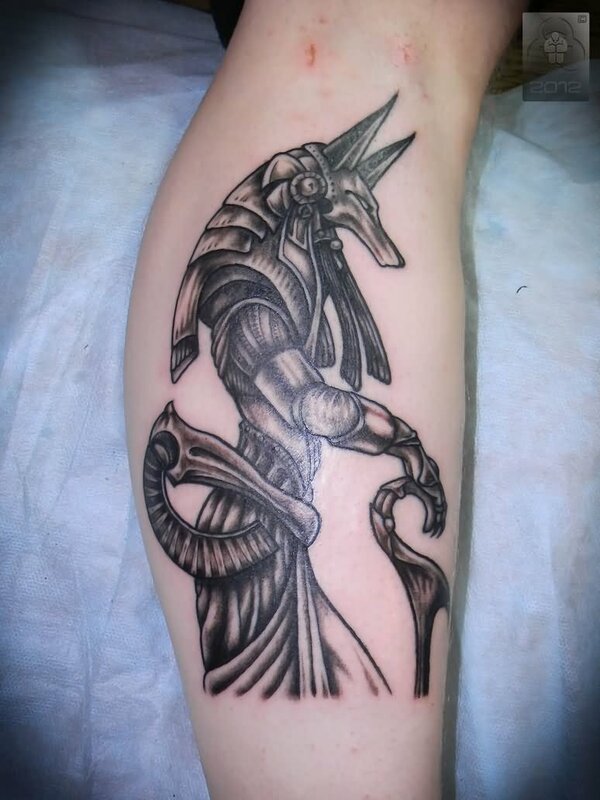 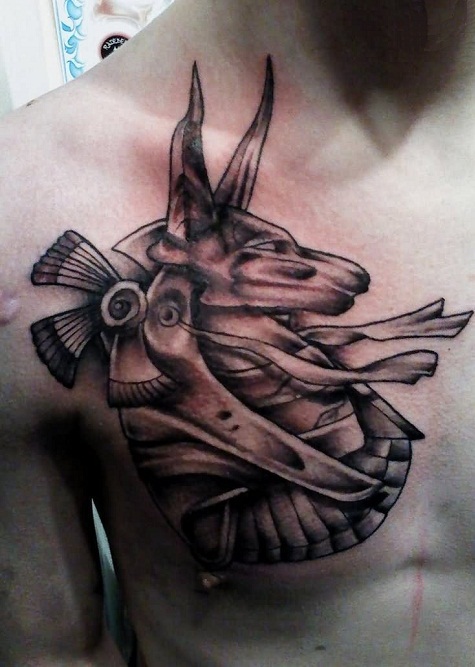 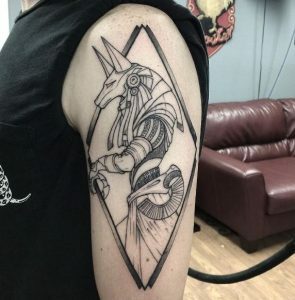 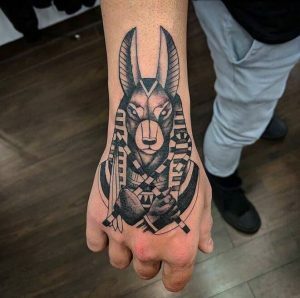 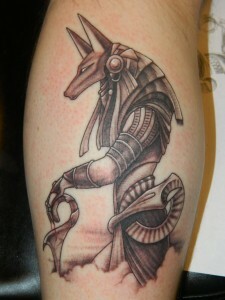 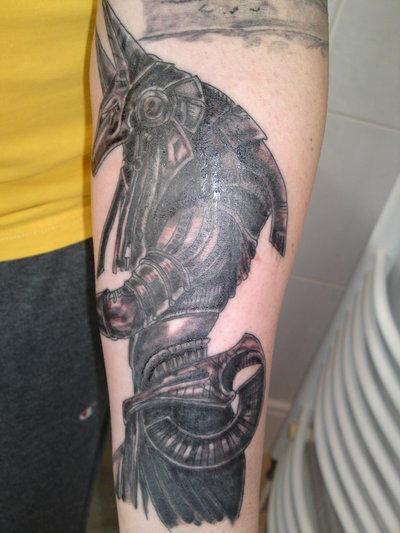 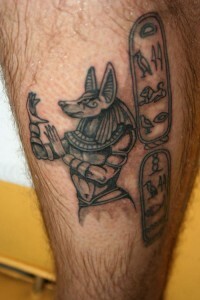 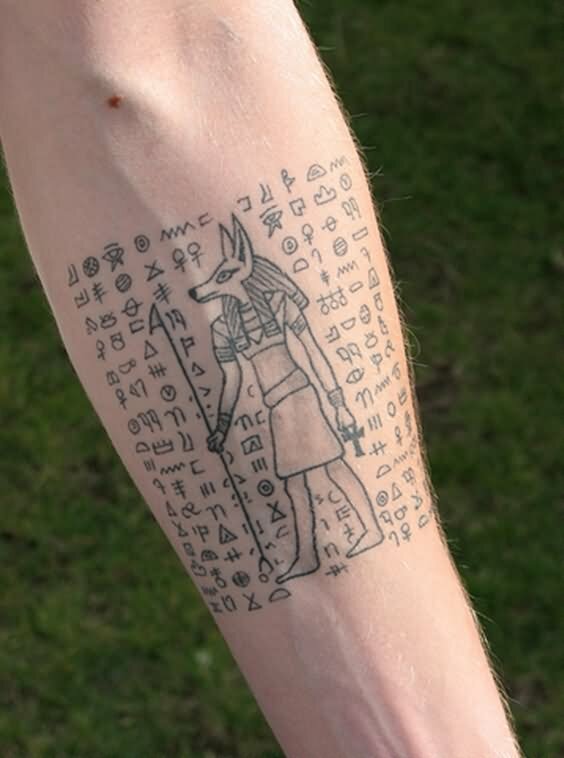 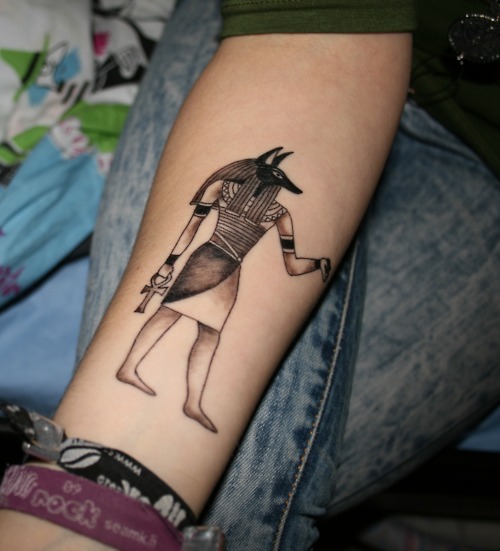 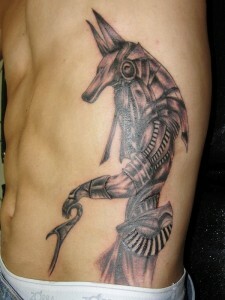 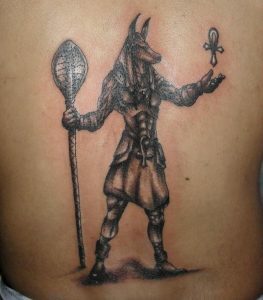 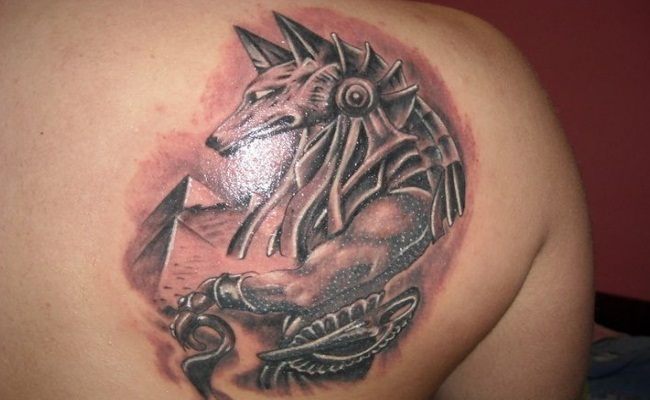 As far as the tattoo is concerned, it mostly bears the symbol of a jackal head as that is how Anubis was portrayed. 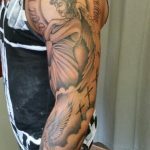 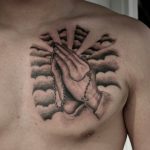 This enigmatic design is mostly preferred by men who love displaying it on their chests and biceps sometimes even with the words inscribed within.